Myrtle Waves Water Park: Each party receives one complimentary adult “All Day” pass for Myrtle Waves Water Park – on each day of their stay! Here, waterslides like the Riptide Rockets and Turbo Twisters; the FlowRider’s standing wave platform; tube slides like the Rockin Ray and Arroba Tooba; and more family-friendly attractions await to deliver wet and wild fun for your entire group. Fun Warehouse: Guests get one complimentary game of Laser Tag at Fun Warehouse, where the 3,500-square-foot Urban Quest Laser Tag Arena delivers two levels of challenges and excitement. Other fun attractions here include go-karts, an arcade, a skating rink and inflatables. Ripley’s Aquarium: Guests can purchase discounted adult tickets to Ripley’s Aquarium at $19.95 each – that’s $5 off each adult admission to check out stingrays, sharks and an ocean of other fascinating aquatic creatures! Unlimited DVD Rentals: Bay View Resort guests are entitled to free and unlimited DVD rentals throughout their stays – so it’s easy to keep your party entertained on rainy days or during evenings spent relaxing in your room. Just head to the DVD rental kiosk found in the resort lobby to grab your favorite titles. 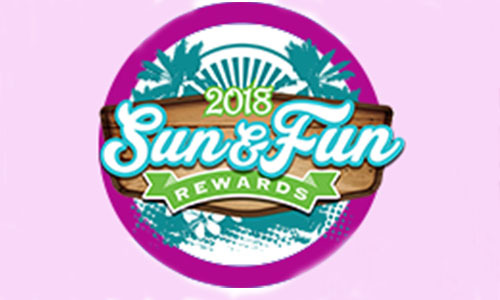 With the Sun & Fun Rewards program, you and your family can have tons of fun while enjoying big savings just for being our guests at Bay View Resort this summer. Book your Myrtle Beach vacation today – and we’ll look forward to showing you a good time on the resort property, as well as at hot spots up and down the Grand Strand!